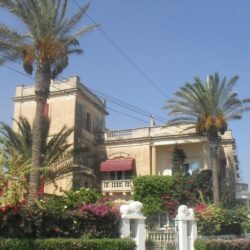 A stunning villa set within one of Malta’s prime locations, surrounded by beautiful residential villas, embassies, period homes and elite head offices. Ta’ Xbiex is the town comfortably located between Sliema and Valletta, having a remarkable marina right in front along with several restaurants and other amenities. Seconds away from the beautiful marina and the Royal Malta Yacht club, sits this bright and airy villa with lots of space and tons of natural light. It has been used as an office but can be easily converted to a residential home. Together with its large outdoor area, the property offers space, luxury and comfort. Disclaimer - Property reference B-MT-020. The information displayed about this property comprises a property advertisement. PropertyMarket.com.mt makes no warranty as to the accuracy or completeness of the advertisement or any linked or associated information. The information is provided and maintained by Casamont.